with Nakamura Yuuichi, Endou Aya, Nakajima Megumi and Kawamori Shouji. Note 1 This summary-translation is completely my own work. Please DO NOT reproduce it anywhere else, though you are quite welcome to link to it if you wish. Bit of trivia which some might or might not find interesting: this commentary was recorded on Valentine’s Day, about 10 weeks before the BD was released. Note that there are also a few shots added here and there, which really lengthened the episode. I’ve noted one below – can you spot any of the others? Kawamori: Kawamori Shouji, who acted as the overall director. Nakamura: You weren’t acting! You were the overall director! Kawamori: Though actually, a lot of the screen time went to the music. Nakajima: I can only remember how I struggled to get all the timing right – like, we’d talk for a while, then I’d have to yell out “And so, everyone!”, and then I’d have to go into “Interstellar Flight”. “Ah! What to do!” That’s all that was in my head at the time. Kawamori: It was all packed so tightly that, if you were just a few seconds late on anything, you’d run into the next lot of lyrics. Endou: It was really fast paced. Endou: Your eyes would be spinning. Nakamura: And in the middle of that…Sugita, playing Leon Mishima, leaves the stage here. (laughter) Lucky bugger – such an easy load on him for the last episode! Nakamura: Ah, the grandpa came out. Endou: Your kindness showed its face! Nakamura: But in the end, I thought that was a fitting end – he’d have to stand trial and pay for his sins. Nakajima: I thought that he’d be with Grace in the end, controlling everyone. Endou: What a lonely guy, huh? 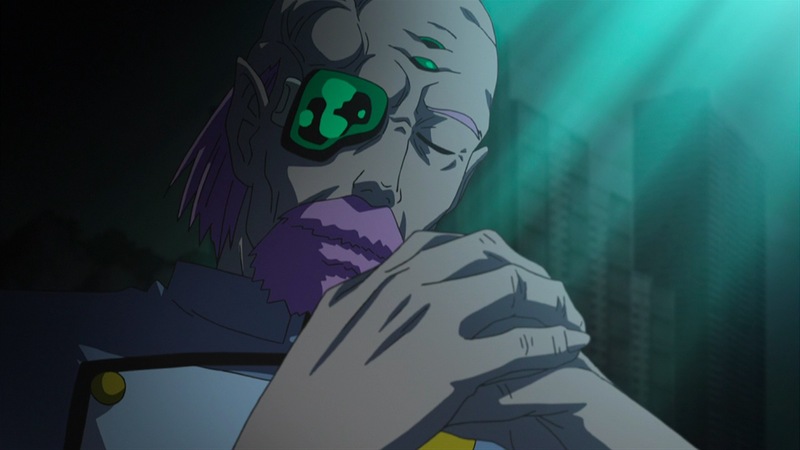 Kawamori: Ah, we could have given him an implant, perhaps? Nakamura: And finally, here, I get my fighter. Can you believe it, the protagonist not having a fighter at the beginning of the final episode? (laughter) And the reason for that being that Alto was – appeared to have been – shot down at the end of the previous episode. I really thought he’d died, so I gave my final greetings to everyone as I left (Endou: Ehhhh!? You did that!) 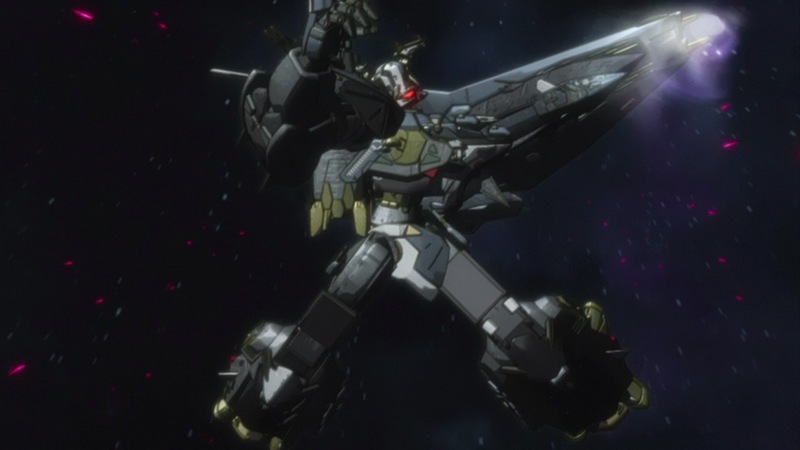 But when I got the script on the weekend, I was like, “Oh, I’m still alive!” (laughter) I mean, you just don’t know what’s going to happen in Macross. Endou: You don’t know what’s going to happen to your own character. Nakajima: like, I’m probably going to die soon, or something. Nakamura: I mentioned it once before, but I really thought that Ranka would die. Nakajima: Ah..I did think that myself, for a bit. Nakamura: I mean, she was on the enemy side…and I couldn’t figure out how she’d be able to return to ‘our side’. Nakajima: I thought that maybe, she’d choose death herself. Nakamura: And that would wrap everything up. Endou: I see… I thought that Alto would die, actually. Nakamura: Hm…there’s something behind that, huh? Endou: I just thought he’d died. 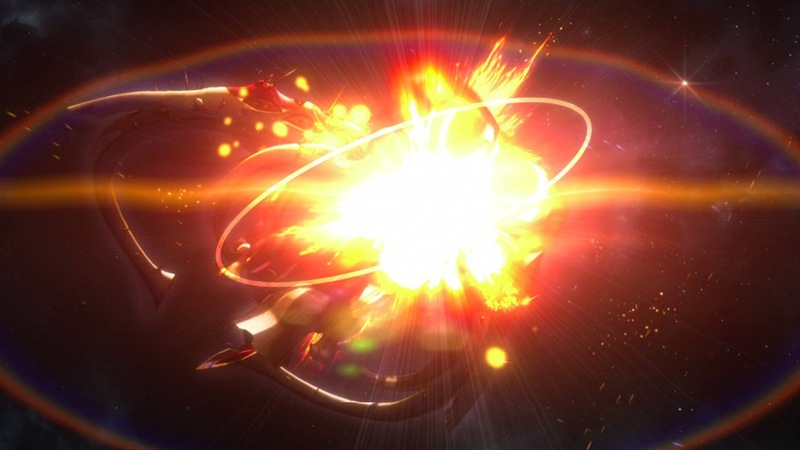 Nakamura: In the previous episode, in that explosion? Endou: Yeah…I thought it really was goodbye. Nakajima: I thought that for a moment too…but then I figured that ‘he’d be fine, he’s the main character. 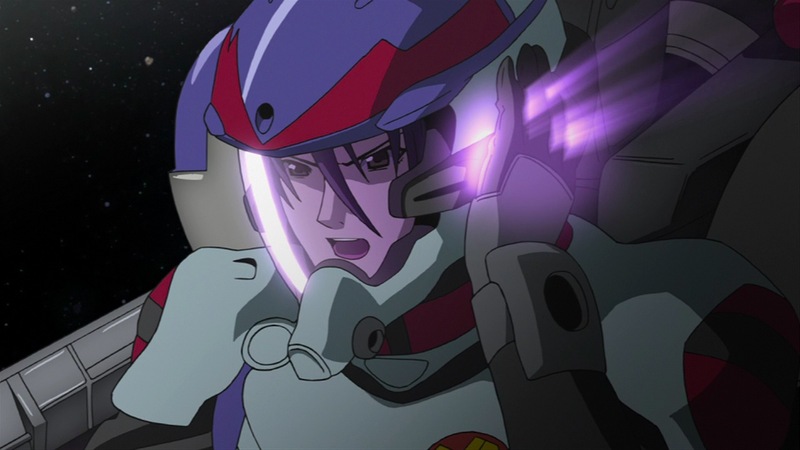 Kawamori: True true – if he hadn’t been the main character, he wouldn’t have made it. Nakamura: If we’d been yelling “Luca! !”, he might actually have died. (laughter) This green one here. Kawamori: well, in reality, you really wouldn’t be so lucky to have survived through all of that! 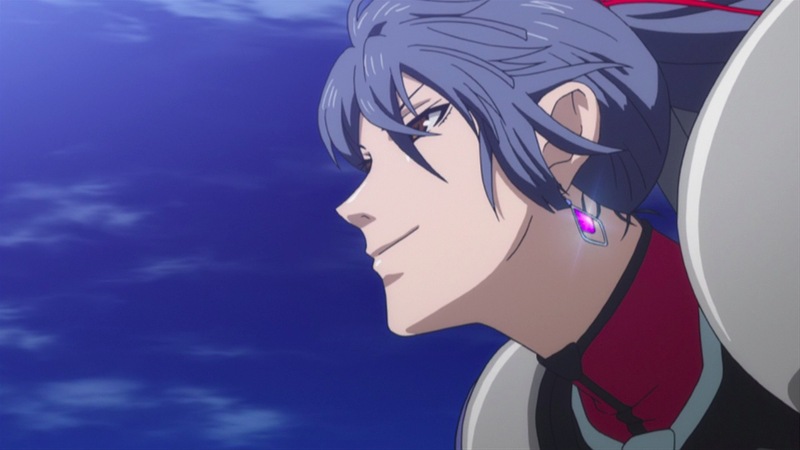 Nakamura: Here, Alto speaks to Ranka through that earring, huh? It was around the middle of the series that Bilrer talked about it with Alto, that there was some material that could do this [i.e. connect people across the galaxy -karice]. After that, when I watched the first few episodes again, I realised that this was why the earring flashed, and that’s how the song had been transmitted. Nakamura: It was really interesting to watch it from the top again. Kawamori: That was in episode 7, where the song was transmitted to Alto. Endou: There’s a lot I missed, really. Kawamori: Ah…well. We actually made the show with the following aim in mind: that if you watch it through, and then rewatch it again, you’d actually see it completely differently. Kawamori: Once you understand that the Vajra have feelings, you really see what’s happened differently, compared to when you thought that they didn’t have feelings. Nakamura: Ah, true. Once you’ve seen it through to here, when you watch the first episode again, you get why the Vajra came to get Ranka. And…even if we hadn’t tried to save her, she probably wouldn’t have been killed, right? Nakamura: So what I did was really pointless, huh? Kawamori: But they didn’t really know about humans, so they might have tried to take Ranka away from Frontier just like that. Nakamura: Ah…in which case she might really have died. Endou: So it wasn’t pointless! Endou: Ah…yes. That first episode was quite shocking, wasn’t it? Kawamori: Well, the drama CDs have both kinds – something a little bit crazy, and something that properly relates to the story. Nakamura: I was definitely saved by those crazy episodes. Kawamori: but even so, we did have the proper, serious ones. Nakamura: True that. We did. I was a little worried about how those turned out. Nakajima: For me, I’m listening alongside you two every week, so that’s the image I have of Alto. Nakamura: Of the idiot Alto, right? Nakajima: So when I watch the series itself, I’m like…eh? Alto really was cool! What happened to him? Nakamura/Endou/Nakajima: Yeah, it’s because we have the radio and those silly drama episodes that the Alto in the show really stands out. Kawamori: Everyone’s got this strange impression of him – but it’s actually pretty amazing for someone who’s just 16, 17 years old to be doing this much in a war! Nakamura: Perhaps it’s because he’s still later than everyone else. Michel and Luca were both in SMS for a while before he entered. 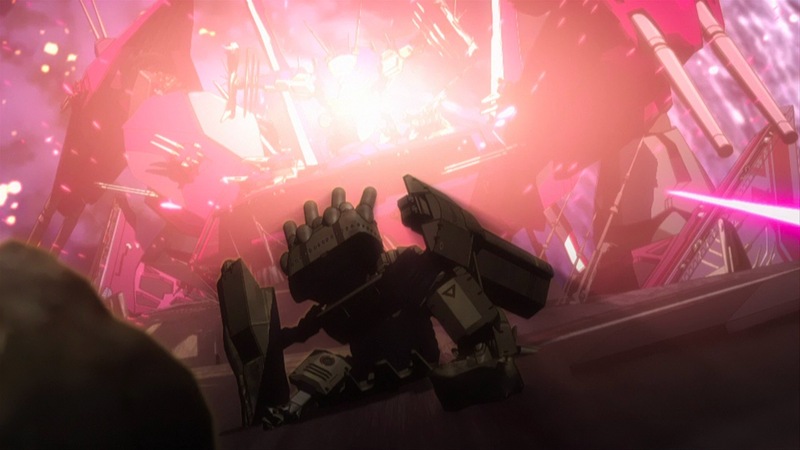 Kawamori: It’s like…it’s only after so much has been destroyed that she finally gets through. Nakajima: I was really surprised that it’s “Your Sound” here. Like, it was “Blue Ether” when she left the fleet, but this one wasn’t forgotten. Like, she’s singing of her feelings for Alto. Endou: Ah, so that’s what it is. Nakamura: By which you mean? Nakajima: I really love this scene. 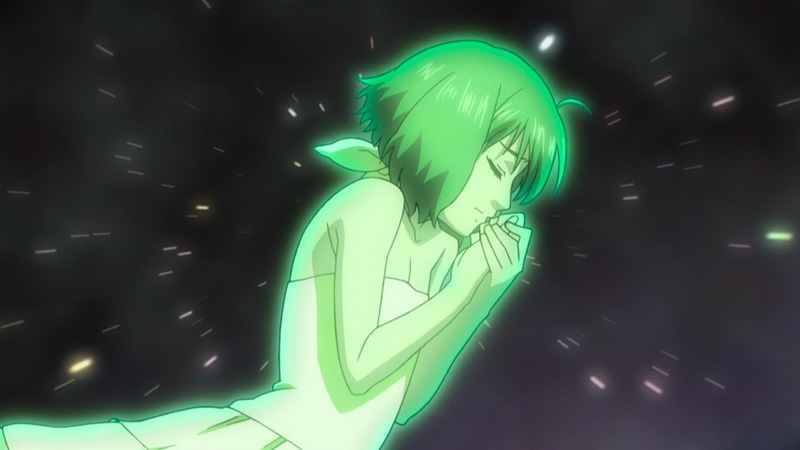 I only had the image of Ranka singing it at the school, so it was really surprising that it would ring across space. Kawamori: Well, we really thought it was an amazing song, so we decided to use it again here. Endou: And it’s also the episode title. Nakajima: It’s like a song of emergence, of shedding one’s skin. Kawamori: Ah, that was when all of the Vajra were emerging too. Nakajima: You could say that it’s also a song for the Vajra. Nakamura: But it’s really interesting here too. At the recording, it still wasn’t complete, but when the episode aired, I thought it really cool that they just cooperated like that. The red ones. Nakamura: I really love that scene where they protect the fleet. Nakajima: When I first saw this, I think it finally sunk in what these scenes were all about. Kawamori: This scene, actually, we did something similar briefly in episode 7. Nakamura & Endou: Ah, yes you did. Kawamori: This is what it’s like when they enter into ‘fold consciousness’. Endou: Ouch. That was some slap. Nakamura: That was a real good one. Endou: And “idiot!” on top on that too. I mean, I’ve slapped Ranka too, but I didn’t say anything on top of that! Nakamura: And you followed it up properly, right? Endou: Yup yup…but in return, I’m an “idiot!”? Endou: She’s really gown up, huh? Kawamori/Nakajima: She was overflowing with emotion. I mean, going so far as to say “Idiot”! Nakamura: I really wish you’d spare me from this line. Kawamori: It’s not a bad one, right? Nakamura: Well, I personally don’t take it as referring to the ‘romance’. But viewers have been misled by that “supergalactic love story” catchphrase. Kawamori: And I probably said it a few too many times too! Nakamura: Because of that catchphrase, everyone tends to overuse the idea of ‘romance’ as a base to interpret everything, which ended up being rather frightening. Kawamori: Everyone was taken by it, and far too much. Nakajima: But then…everyone just wants to know, right? Endou: We certainly do. I want to know. Kawamori: even though it was the largest arena, it was also the one where you and May’n-chan appeared way larger than life. Nakamura: It’s be great if you could perform at the Budoukan again. Nakajima: I’d love to do that. Or perhaps, let’s go for something bigger. Endou: There’s no end to it. Nakajima: There’s always something else to do. 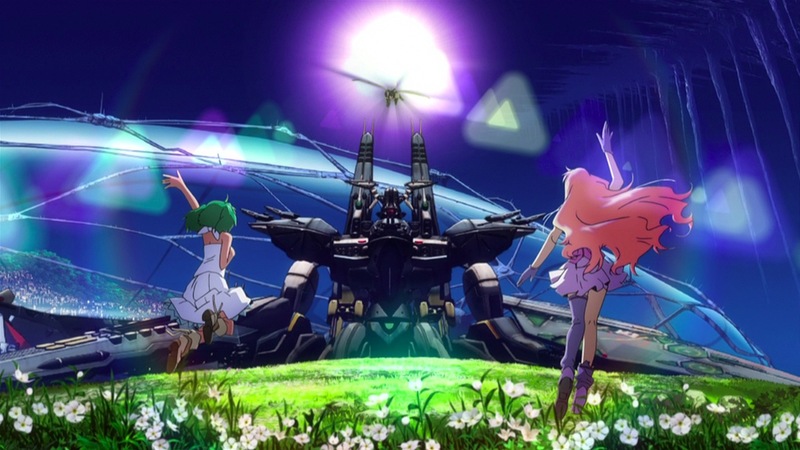 Kawamori: It’ll depend on what the viewers do, on how far they’ll support us. Nakamura: And if they do support us, there’s no idea how far we might go. Nakamura: Hold it right there! Kawamori: Well, you see. It’s really difficult. Like, with the love triangle (Ahh…) normally, you’d just have one heroine. And we have the war, and then the two of them singing, and there’s also two enemies in the Vajra and Galaxy. So it’s a real balancing act, trying to get it right. But then, I find this process really interesting. And of course, a few new songs here and there too. Nakajima: A bit here, a bit there. Kawamori: there are quite a few, right? It’s pretty amazing. Nakamura: Really? I haven’t really listened to them much. Those new songs, I only really hear them at the recording sessions. Kawamori: Well, there are some that have recently been released, and are on the airwaves nows. Nakamura: They are? Though that means that they’ll be gone by the time everyone watches this! Endou: So they can’t check whether it was true of not! Kawamori: If you think about it, 50 years ago for them is now. Endou: That’s quite an amazing thing, huh? Nakamura: Never expected that they’d ever say something like this. Kanaria always gets the best parts! And here comes the Macross Attack!! Nakamura: All the viewers loved how they used Michel’s rifle here too. Nakajima: The Vajra sing with their stomachs…that’s why my stomach always started hurting. Kawamori: Well, you could say that rather than dead, she’s in another place. Nakamura: Now that you mention it, she doesn’t really have a body, right? Perhaps, if her consciousness escaped somewhere, then she might actually be ‘alive’ somewhere. Nakajima: Alto-kun…really did it, huh? Nakamura: Yup. It’s the first time he’s shot an enemy down. Nakamura: Such a mysterious cut scene. Endou: I’m really curious about that. 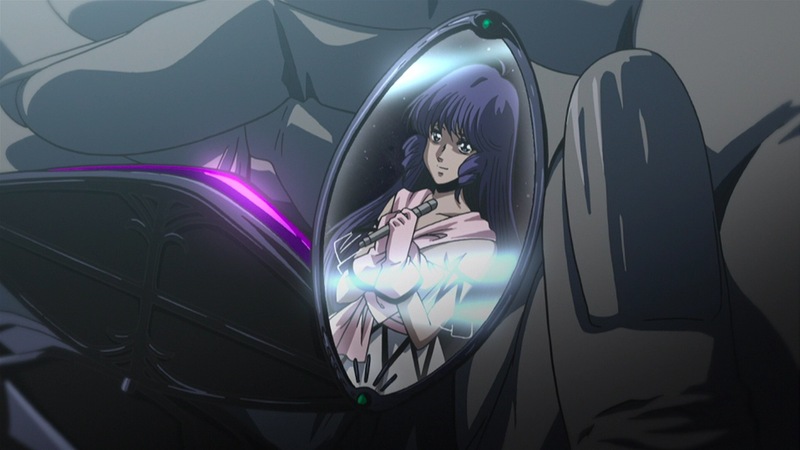 Kawamori: Well…he thought that he’d be able to get to her, after all, with that fold network. I don’t get why he’s popular. After all, which girl would want to date a guy prettier than she is? Endou: Like a true protagonist. Nakamura: Isn’t he? … and he’s wearing that earring so conscientiously. Endou: Right. He’s not taking it off anymore. Kawamori: Well, it suits him. Endou: It’s sad…and frustrating…but he’s such a beauty! Kawamori: Perhaps that was one of his problems, he was too pretty, so everyone thought he never tried his best. Nakamura: The impact of his appearance was just too great. Kawamori: In the history, he’s actually one of the protagonists that did quite a lot. Endou: And she’s doing that “Kira!” sign. Kawamori: More like, this is just the beginning. Kawamori: do you mean we should end his life then? Nakamura: no, not in terms of his life! I mean more with regards to things around him…like, make his thoughts/feelings a bit clearer. Kawamori: though he’s actively fighting, right? Endou: in his general life, non? Nakamura: yes! I’m looking forward to that. [just a few seconds left!] Everyone, a few words! Endou: I’m really looking forward to the movies! Nakajima: Same here! Please attach (him) to someone! Yay and thank you for all your hard work! You’re welcome. I’m not quite done…want to check this one more time before posting them in AS… Then there’s some more movie stuff I want to do…hopefully, anyway!! Apologies for not replying to your other comment yet – it’s been a really, really busy week!